Al Sever served as a helicopter crew member in Vietnam from 1968 - a year of heavy and desperate combat - to 1972, when the US troops suffered both moral and physical disintegration. From the Delta to the DMZ, he participated in eleven of the sixteen campaigns of this most terrible war. 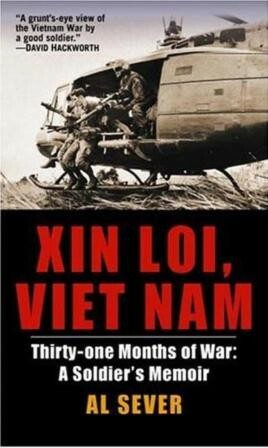 In Xin Loi, Viet Nam Sever recounts his experiences with stark and unflinching honesty, describing fully the awfulness of this war of warrior-boys. The book reveals the shocking reality of what young US soldiers faced, and details the horror of a young man's coming of age in desperate circumstances.